Founded in California in 1987, ViewSonic has quickly established itself a the leading generic display manufacturer based in the United States. The company’s reputation is virtually rock-solid, and their expertise in video products extends to computer monitor and small screen displays as well as their flagship line of high definition television products. Typically considered a low-end or generic commercial brand, ViewSonic has made a name for itself by selling high-quality products that don’t corners or sacrifice quality in the name of lower prices. This has made the brand quite popular with consumers, who are increasingly spending less on discretionary technology purchases. 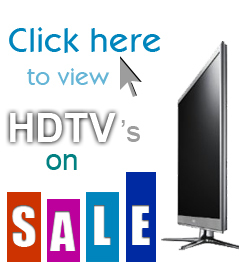 Searching for a specific ViewSonic TV review? Many consumer electronics companies, whether they sell lower-end or high-end products, dabble in a diverse array of product categories. They’re often responsible for creating the display the Blu-Ray player, the sound system, and even a universal remote control to make it all work together. This dilutes their efforts and contributes to major quality problems in some companies’ products. This is simply not the case with the ViewSonic brand of televisions and other displays. As the company’s name might imply, ViewSonic is concerned only with the way a customer views their media. Their business focuses exclusively on high-quality television and computer displays, resulting in some of the most vivid colors, deepest blacks, and whitest whites of any television on the market — regardless of price range. This respect for the art of a good display doesn’t just make the brand popular with average consumers, but also with graphics developers and animators who need professional-level tools for their everyday lives. As mentioned earlier, ViewSonic focuses solely on creating high-quality displays for consumer use. This means the the company’s television sets are of the highest quality, because their efforts are not focused everywhere. Indeed, in review after review, the product sold by ViewSonic are complimented on their rich colors and smooth display of high-action scenes in both movies and live sporting events. The company’s display panels are on par with those offered by Panasonic, Sony, and Samsung, but consumer will pay far less for this commitment to quality with ViewSonic than they will with those brands. Another issue of quality with generic brands tends to be the overall build quality of a television’s set’s construction. Many consumers purchase a new, lower-end high definition television set only to find that the plastic is easily cracked, and it both looks and feels “cheap” when compared to the leading consumer electronics products on the market. That is not the case with televisions sold by ViewSonic, which are as durable and as long-lasting as anything sold by higher-priced brands. The company has managed to sell its products on the cheap, without making them feel that way. The price of a ViewSonic television is competitive with other generic manufacturers across the board, saving consumers hundreds of dollars on their next television purchase. That bodes well for the company, which has been able to capitalize on a rocky economic picture, and for consumers, who have more rigidly committed to saving money and bargain shopping or all of their purchases. These two trends, when put together, explain the company’s dynamic success. Value is no issue for ViewSonic, which has been selling long-lasting visual and entertainment products for roughly a quarter-century. Consumers, in reviews of the company’s television products, have been satisfied with how long their sets have lasted — in fact, very few show any sign of malfunctioning or going out of service anytime soon. The ViewSonic website is full of resources that will help out buyers once they’ve set up their new HDTV set and need a few pointers on how to use the new device. The company maintains an actively updated selection of frequently asked questions, which it pairs with technical support manuals, step-by-step guides, and a few other great electronic resources that are model number specific. For customers who require greater technical assistance, a toll-free customer service hotline is operated by the company, and it operates 24 hours per day, seven days per week. Customers can use this resource to address common questions, troubleshoot potential issues with the television, or arrange for a repair or replacement under their warranty coverage in the rare case that a ViewSonic HDTV does not live up to the company’s solid reputation for quality and longevity. Among the brands it competes with as a low-end consumer electronics company, buyers could certainly do worse. Unlike other brands, which are afflicted with short-lived television sets and pitiful picture quality, ViewSonic produces a line of high definition television sets which looks and feels like something that would be produced by a higher-priced competitor. Consumers will appreciate this high quality, and low price, and will likely continue to reward ViewSonic with strong sales and profits.